Thank you for your support during the past four years! I can't believe how much my business has grown and I could not have done it without you. 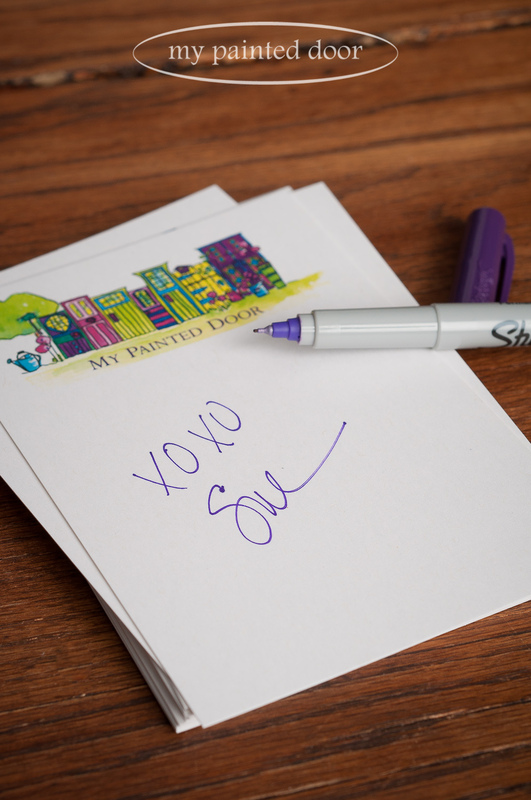 I never imagined that I would be shipping paint every single day all over Canada and the U.S.
Just over four years ago, I fell in love with milk paint and decided to open a little paint shop. For the first three years, I juggled a full time job as a police dispatcher/911 operator and had both a brick and mortar store and an online shop. About 18 months ago, I was able to leave the police station. Yippee!! Recently a friend of mine introduced me to someone and when they asked what I did for a living, my friend stated "Sue's an entrepreneur". Huh! I guess I am and that's pretty darn cool. Nothing like a complete career change in your 50's! (Early 50's I might add. hehe). I must admit, it's a little scary to leave a full time job with a pension to chase after a dream. Thank you for taking the time out of your busy day to read my blog. I'd love for you to leave a comment every once in awhile, just like we were having a cup of coffee and a little chat! I am now offering $12 flat rate shipping to the U.S. and I am excited about that! All orders within Canada or the U.S. are now $12. I wanted to share my little shipping area in my shop. This desk came from a post office close to where I live. I wish I knew more about the history of it, but all I know is that once upon a time it was used in the Port Arthur Post Office. And yes, I actually use this space to package up paint orders. Although the area is small and not always practical, it makes me happy! The desk has beautiful drawer pulls on it. And the drawers all have wonderful dividers where I can store shipping supplies. It has cute little cubby holes to store paint stir sticks. We hand stamp each stir stick here in my shop, so they are not always perfect! Actually Karen does most of the stamping because I am a little sloppy and she won't let me near them anymore. Hanging above the desk is a wonderful sign that my friend, Wendy Aaltomaa, made for me. 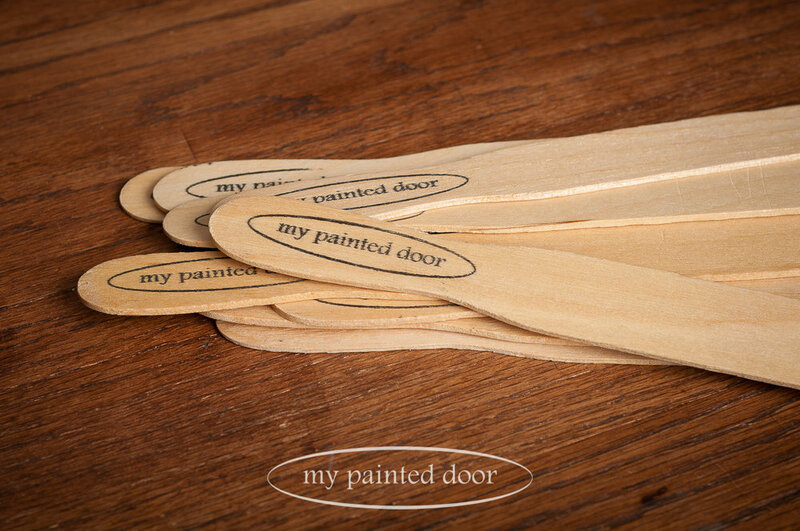 Wendy used milk paint and Fusion Decoupage and Transfer Gel to apply the lettering. She distressed the sign just perfectly! This great little wood box holds all my painting pamphlets and other shipping supplies. I just had to show off my totally adorable business cards that were designed by calligrapher and lettering artist Kathie McIlvride. And I even have cute little notecards to match. 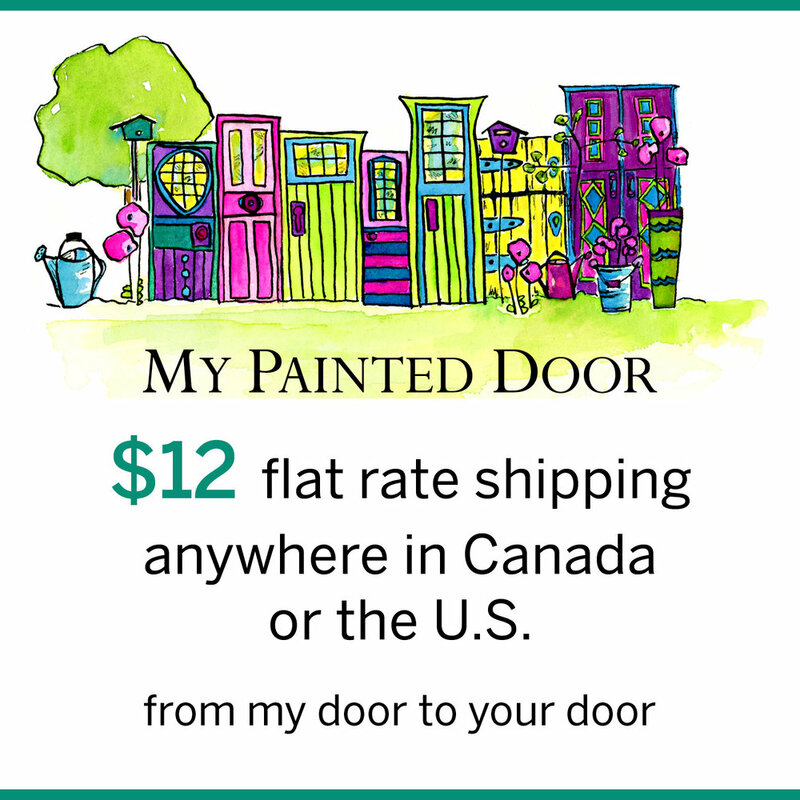 My sister, Sheila, often uses my wonderful set of doors when designing my ads and on my store calendars. To serve you better, my shop is now open on Fridays! Posted on February 28, 2018 by Sue Sikorski and filed under Fusion Mineral Paint, Milk Paint, My Old General Store and tagged 2018.